Did you know that singing is 80% confidence? If you believe you can do it, you will. Think positively, and you’ll achieve your goals. This book contains a wealth of advice for singers. It’s full of useful tips for all seasons, to keep your voice in top condition. Whether you’re looking to sing at La Scala, improve your singing abilities or just increase your performing confidence, this practical book is the perfect accompaniment. 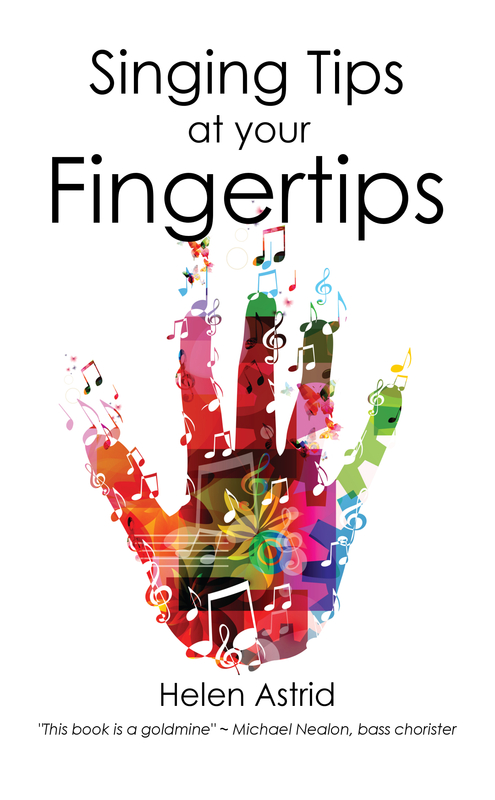 Singing Tips at your Fingertips by Helen Astrid is now on Amazon in paperback and on Kindle.